The newest member of our popular Head Knockers line is none other than your friendly neighborhood Spider-Man! The wall-crawler sports his classic costume, and is ready to sling webs (and wisecracks) at a moment’s notice. 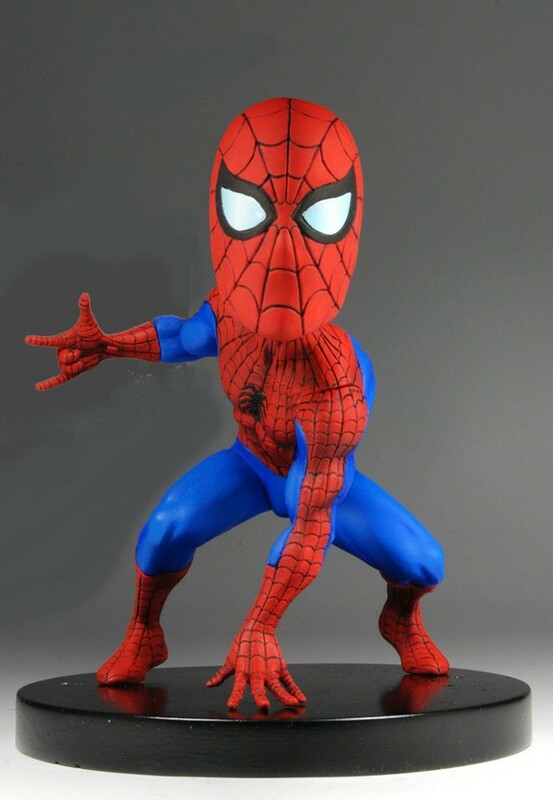 Cast in resin and then hand painted for incredible detail, the head-bobbling Spidey measures 5″ high in a crouched pose. A great collectible for Marvel fans of any age!